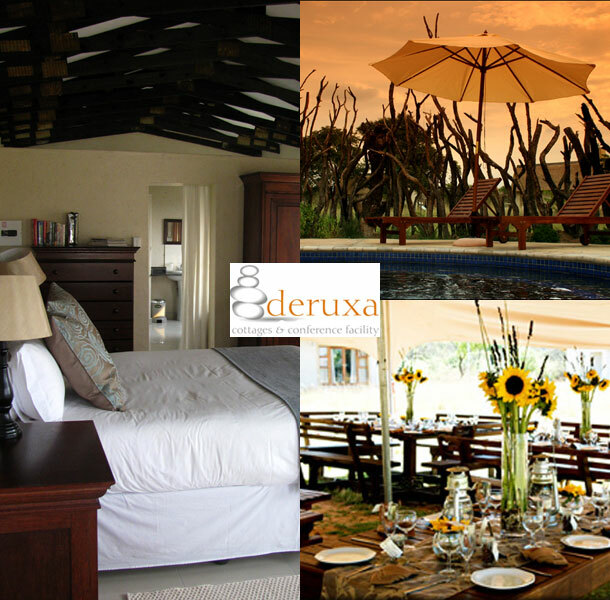 Where nature feels like home … Deruxa has a warm, inviting feeling and provides the tranquillity that guests are looking for. 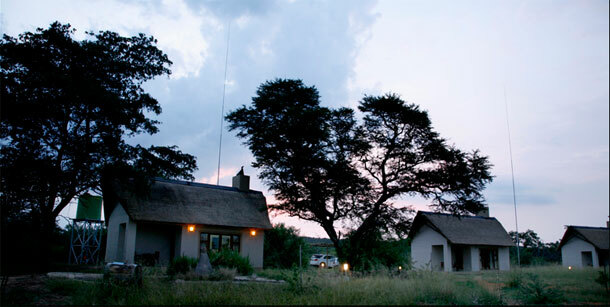 The property boasts pristine bushveld and has been game fenced and a number of game species have been introduced. We are situated a mere 40km’s north of Pretoria and 22km’s west of Cullinan and give one the opportunity for a break-away without having to drive for hours. We cater for kitchen teas, birthday parties and weddings. Our venue can accommodate up to 40 to 50 guests seated either in the main lapa or a marquee tent on the lawns. The bar stocks a wide variety of drinks. The catering is done on the premises and menus can be discussed and set prior to any function. Let us help you plan the perfect day for your wedding. To book your day at this venue please telephone Sonja and the team on +27 (0)73 505-3415. Alternatively if you’d like to send an enquiry or for further details visit Deruxa Cottages and Conference Facility.